The Colchester Archaeological Trust is delighted to say that the Colchester Roman circus site and visitor centre have been included in the Colchester Cultural Trail 2017 as a Learning Destination. We have now created a timetable of activities here at the Roman circus visitor centre for children who visit us as a Learning Destination during the school summer holidays. Trust archaeologist Laura Pooley has compiled our school summer holiday activities: she worked at several museums as a curator before joining the Trust. We have set up a ‘Cultural Trail’ corner in the ‘chariot room’ here at the Roman circus visitor centre. Children will be able to come and spend an hour a day (Tuesday-Friday) with a Trust archaeologist and discover what it’s like to be an archaeologist. We hope that this will be fun as well as interesting! There will be some craft activities for you to do at other times. We will also stamp your ‘Passport to learning’, either in the ‘Cultural Trail’ corner or at the tea room counter (we’ve got the stamp here, all ready to use). We also have a lot of green outside space which is great to run around in. 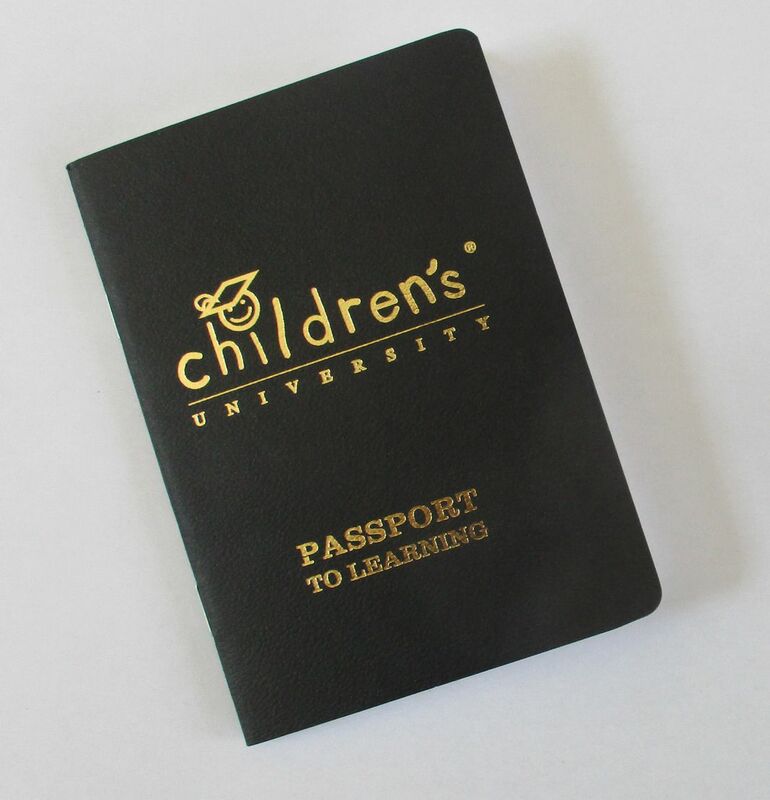 Take your Passport as well as the Trail to receive your CU credits …’. A quiz sheet on the Roman circus visitor centre is available here. There will also be some craft activities for younger children. Come and have a look at some of the equipment used to excavate a site and find some real archaeological objects in our mini sand-pit dig. Have a go at some finds washing with a Trust archaeologist. Have a go at some finds sorting with a Trust archaeologist. Come and have a look at our table of archaeological objects with a Trust archaeologist – can you guess what they are, how old they are and what they were used for?! 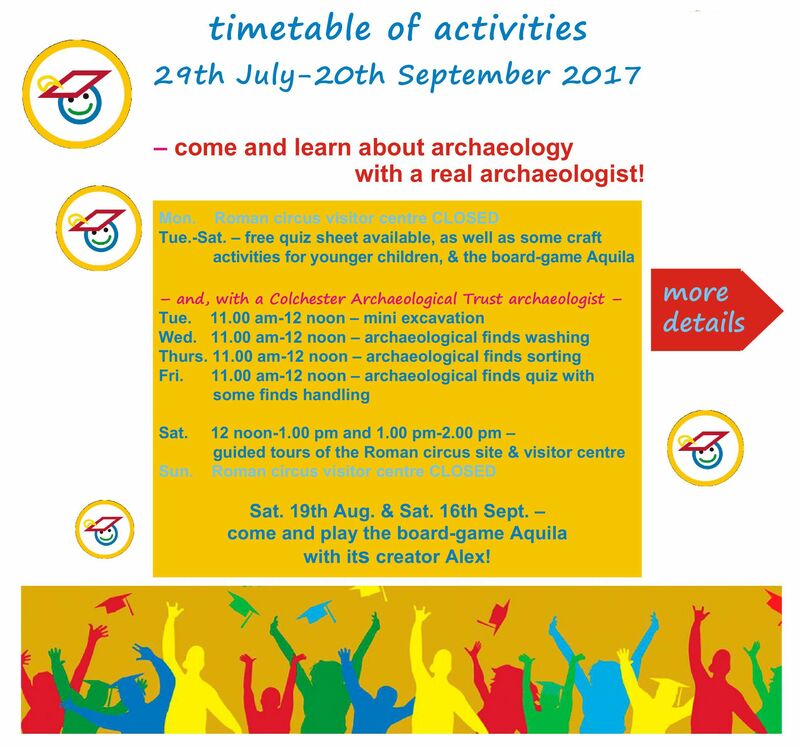 Saturday 19th August and Saturday 16th September, 11.00 am-2.00 pm – come and play Aquila! Join us for a guided tour of Colchester’s Roman circus site and visitor centre. The tours start at 12 noon and at 1.00 pm from inside the Roman circus visitor centre (the fee is £3 per adult, accompanied children under 16 free). Most of these children’s activities will take place on two long tables in the corner of the ‘chariot room’, by the entrance door – you can’t miss it! The finds washing and mini excavation will take place in our marquee. All these children’s activities are free – but there is a donations box in the ‘chariot room’ and all donations are gratefully received! The Roman circus site and visitor centre are open Tuesday-Saturday, 11.00 am-4.00 pm, April-September. Admission is free. Our tea room is open Tuesday-Saturday, 11.00 am-4.00 pm. The site and visitor centre are pushchair-/wheelchair-accessible. We provide a small visitor car-park with free parking, and a visitor WC with baby-changing table and wheelchair access. Visit the Essex Children’s University web-site at www.essexchildrensuniversity.co.uk/page/0/1/1/home/ .